An experienced care professional is set to combine her healthcare and business expertise after acquiring a County Durham residential care home. Elaine Reay has been managing the Langley House Residential Care Home in Horden near Peterlee through her care consultancy Resolve Care for the last four years on behalf of the Durham Aged Mineworkers Homes Association. She has now acquired the 26-bed property from the charity with a view to extending the care services it provides to residents out into the local community. And Elaine is also looking at further care home acquisition opportunities across the North East as part of plans to build a wider healthcare group across the region. 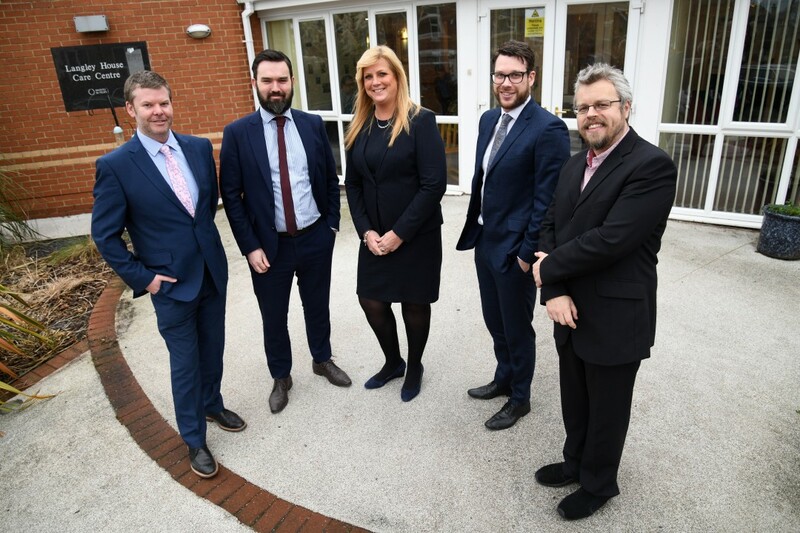 Michael Cantwell and Matthew Flinders of RMT Accountants & Business Advisors worked with Elaine on all aspects of the acquisition, while legal advice was provided by Craig Malarkey, partner in Corporate & Commercial Team at Tilly Bailey & Irvine LLP. “When the opportunity arose to take it on, it seemed like a very natural step to take, and it’s exciting to have now completed the purchase. “We’ll be maintaining our links with the Durham Aged Mineworkers Homes Association, and will be looking to extend the services that we offer within Langley House out into the local community, so that older local people can also get the support they need within their own homes. “We believe there are also opportunities to build a small group of residential properties within the region through which we can provide a consistent level of high quality care services, and we’re now actively looking at further acquisition options. Michael Cantwell, head of corporate finance at RMT Accountants, adds: ” Elaine has both a hugely impressive industry track record and a real passion for providing the best possible support for the people in her care, and we’ve been working with her for many months to ensure everything about this acquisition went as smoothly as possible.